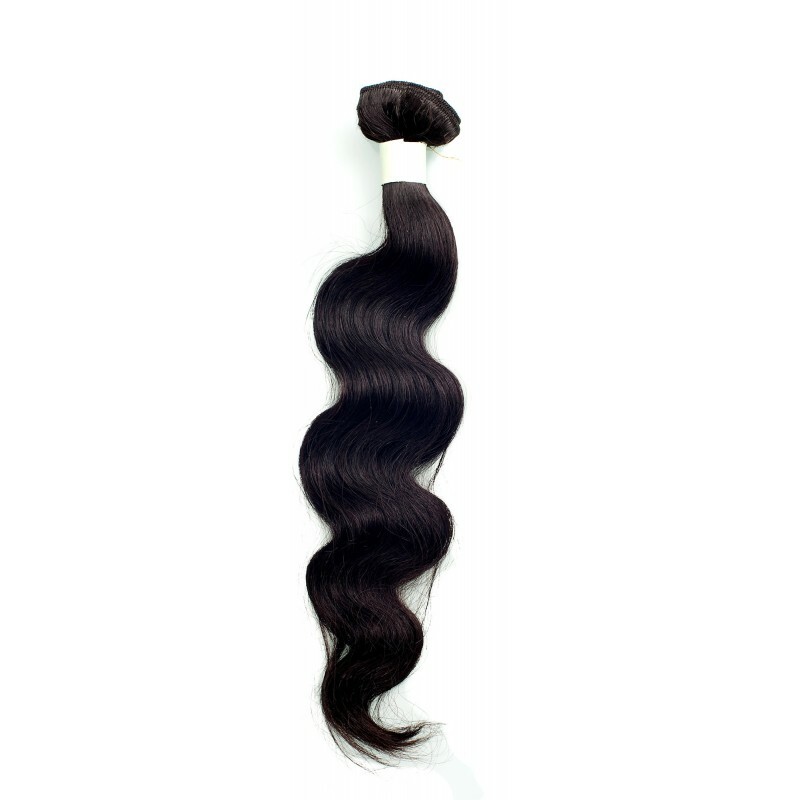 Our Body Wave sew-in extensions are 100% pure and natural Virgin Indian Hair. The Body Wave is a pattern of continuous waves formed by the entire body of hair as opposed to different sections forming different curls. The Body Wave offers a beautiful style of matching, cascading curls, ideal for special events or for an amazing daily look. Our all-virgin Indian hair Body Wave extensions can be flat-ironed straight when you want to change it up and they go right back to their thick and luscious curls when wet. Body Wave Indian Hair extensions offer curls with volume and the same silky smooth texture and shine as our other virgin Indian hair extensions but without the hard work of using rollers or chemicals or other treatments. Protect your natural hair and skin while showing off your rich, voluminous waves.